Professor Jean Wainwright’s research is concerned with contemporary art and photography both as a curator and academic. 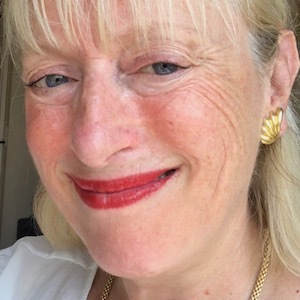 She has published extensively in the contemporary arts field, as well as appearing on television and radio, including Woman’s Hour, Channel Four, and the BBC. Her Audio Arts Archive (begun in 1996) is ongoing and to date she has interviewed over a 1000 international artists, photographers, filmmakers and curators. A proportion of her unpublished interviews were acquired by the Tate Gallery in 2006 with 177 of her published interviews going online at the Tate in 2014. Her international curated exhibitions include My Search for Andy Warhol’s Voice (2011 & 2012), Ship to Shore: Art and the Lure of the Sea (2014), Gestures of Resistance (2017) Powerful Tides, 400 Years of Chatham and the Sea (2018) and Another Spring (2018). As a presenter and interviewer, Wainwright has covered major art fairs and events in the past 15 years, including Frieze (London), Art Basel in Miami and Basel, the Venice Biennale and The Armory (New York). She has collaborated on a number of corporate art projects including for Heathrow Terminal 2 Richard Wilson, Slipstream for Futurecity.